Cotting Court is Midtown's alternative to the shiny highrise towers. Although it is nestled in the midst of Atlanta's busy live, work, and play district, this building stands with quiet prestige and timeless character. 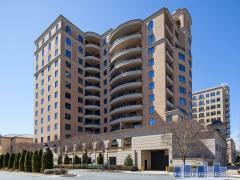 Cotting Court Condos offer affordable Luxury Living in the heart of Midtown Atlanta. Contact us today for more info about Cotting Court or to arrange a tour. Have any comments or questions about Cotting Court? Ask your question and/or share your thoughts about this Building.